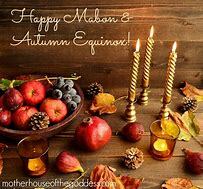 Posted on October 2, 2018 by Lady BeltanePosted in Celtic, Celtic, Goddesses, Goddesses and Gods, Healing, Pagan History, Pagan PathsTagged Celtic Deities, Coven, Healing, Pagan, Sirona, Solitary, Witchcraft. This article about Goddess Sirona was very helpful. Im going to do more research on her. I have been working with her many years along with Kwan Yin (over of various names for this goddess) and the Elemetals to help others mind or spirit or body or whatever combination of them that may be needed.